I just wanted to share how awesome the team at PSR is. 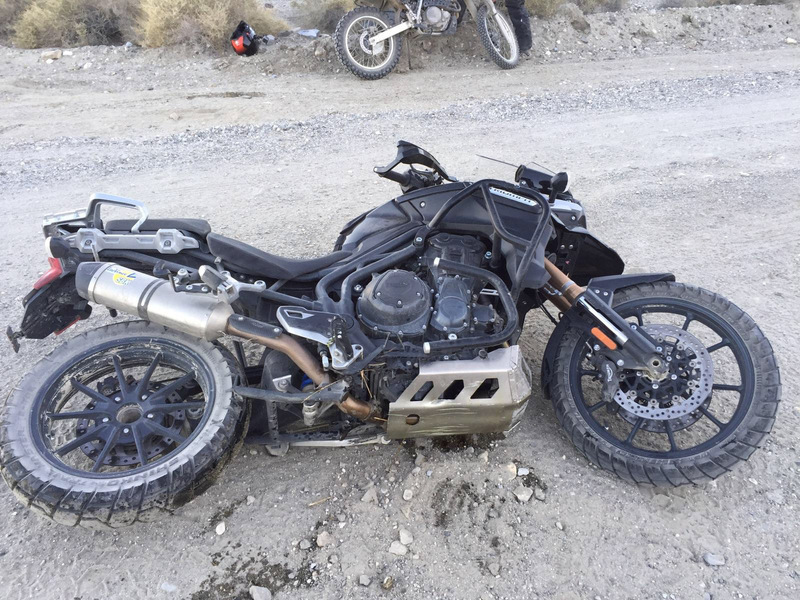 The photo above is a Tiger 1200 laying down with a holed oil pan, somewhere near the bottom of Saline Valley....see the close up below of a "bash-plate-fail". The crinkled corner of the bash plate damaged the oil pan....and hopefully not the crank case. ....and says, just bring them back when you are done, let me know if you need anything else. That guy at PSR is really cool. I can't remember his name but he's always been really cool. His gf/wife? works at the restaurant there too and is very sweet. They probably deal with those types of things on a weekly basis.